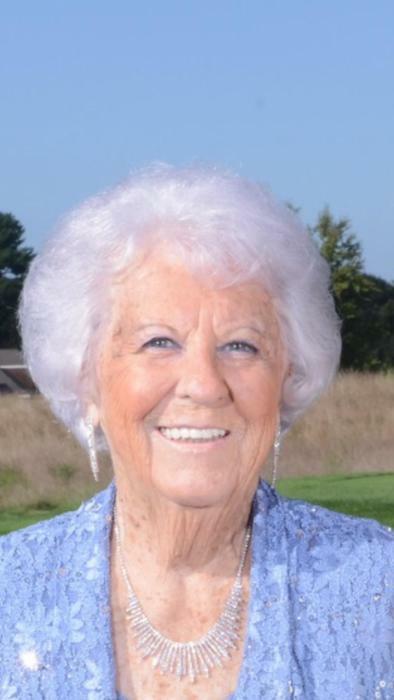 Mary Elizabeth “Betty” (Keegan) Nourse, age 84, of Braintree, formerly of Quincy and Dorchester, passed away peacefully at home in the company of her loving family on Monday, December 3, 2018. Born in Boston, she grew up in Dorchester and graduated from Dorchester High School for Girls in the Class of 1952. Mrs. Nourse worked for the State Street Bank in Quincy. She and her husband wintered in Naples, Florida for a number of years. Always happiest spending time with her family members, "Betty" enjoyed outings with them to Castle Island in South Boston among other favorite places. She also found pleasure in visiting various historic sights and museums around Massachusetts. Additionally, she loved shopping! The beloved wife of 63 years of Albert L. Nourse, and devoted mother of Ellen A. Biotti and her husband Joseph of Wellesley and Jeanne M. Nourse of SC, Mrs. Nourse was the cherished grandmother of Joseph Biotti of TN, Stephen Biotti, Christine Cordaro and her husband Kevin, and Daniel Biotti, all of Newton. She was the loving sister of Theresa Van Tassell and her husband Robert of Braintree, Barbara Quinn and her husband Thomas of Braintree, Patricia Conner of Braintree and her late husband Thomas, the late Helen McDevitt and her late husband Richard, and the late Lawrence Keegan, as well as the sister-in-law of Sonia Keegan of Falmouth and Ethel and Raymond Coleman of Harwich. She is also survived by many nieces and nephews. A Funeral Mass will be celebrated at St. Clare Church, 1244 Liberty Street, Braintree on Thursday morning, December 6th at 10 am. Visiting hours will be held at the Alfred D. Thomas Funeral Home, 326 Granite Ave., Milton, Wednesday from 4 to 8 PM. Burial will follow the Funeral Mass in Blue Hill Cemetery. In lieu of flowers donations may be made in her memory to Hospice of the South Shore, 30 Reservoir Park Drive, Rockland, MA 02370.